Have you received a debt collection letter or are you getting calls from Fredrickson International? Do you need advice & help on how deal with Fredrickson International? Last month we helped 11,567 people deal with debt collection agencies like Fredrickson International. Below you'll find out everything there is to know about Fredrickson International also known as Fredpay, including their contact and address information. Fredrickson International who are also known as Fredpay, are a company that specialise in collecting payments of debts owed by individuals. They are part of the Lowell Group, which are one of the biggest debt collection and debt purchase organisations in the UK. They also collect debts on behalf of companies like Utility Warehouse, Capital One, O2, Littlewoods and the like. Chances are they are calling or writing to you because they believe you owe money. The original debt won’t be to Fredrickson International, which is why you might not recognise the name. Perhaps they have sent you a text message similar to "This is an important message from Fredrickson. Please visit www.fredpay.com or contact us on 02031478215 quoting reference number ********". Fredrickson International are just a debt collection agency, and therefore have to provide clear evidence that you owe the money. Our experts deal with Fredrickson International every day, and can quickly help you determine if the debt is statute barred, in which case you won't have to pay anything. If you do owe the money then we can also give you a FREE financial assessment, which you can then send to Frederickson International. What can Fredrickson International do? The FCAs debt collection rules and guidance sets out minimum standards that companies like Fredrickson International must adhere to in order to be considered fit to operate as a debt collector. 11 steps to deal with debt collectors. 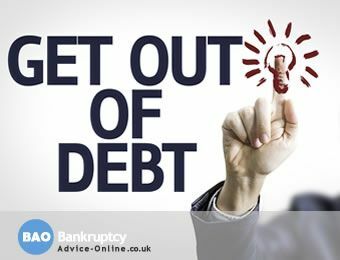 It explains exactly what they can do and how to dispute a debt and how to handle their calls and letters. Please note that we are not associated with Fredrickson International Ltd in any way. The information on this page is provided to help people contact their creditors. If you’re finding it difficult to make your monthly payments to Fredpay you may need help looking at your budget and managing your debt. We deal with such companies all day, every day and we know exactly how to approach them. If you’re struggling to repay a debt and would like us to deal with Fredrickson International on your behalf, or simply need a bit of advice, just click on the GET HELP NOW button below. Need Help With Fredrickson International Debt Recovery? If you want more help on dealing with Fredrickson International, call our FREE Helpline on 0800 368 8133 (freephone, including all mobiles) or take the online debt test and find your best solution.